More excellent results from the Moberly Stars at the South Coast u16 event in Worthing earlier today. 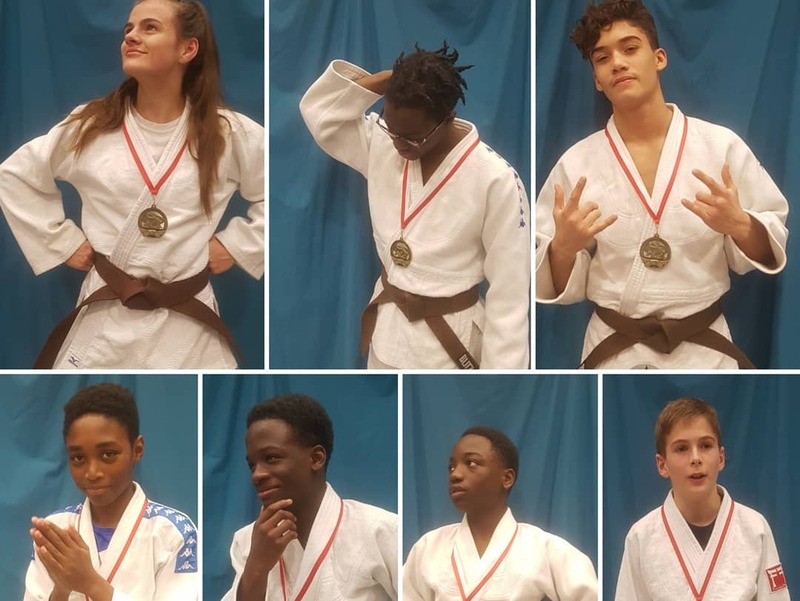 11 took part in the last event before the GB Nationals, returning with 8 golds, 1 silver and 2 bronzes. Minors gold for Luca in the u42k, Pre-cadet golds for Myeisha u40k, Liam u42k and Maddie u63k. Sacha won a bronze at u50k. In the cadets, golds were won by Alex in the u50k, Dinari in the u55k, Luan u60k and Anna in the u57k. Kamal won a silver in te u55k and Kyle, a bronze also in the u55k. Over in Harlow, Oliver won silver in the green and under event at u42k. No Comments to "Moberly Stars at South Coast and Harlow"